Indian Railways has unveiled a new facility, which will allow passengers to book railway tickets through their mobile phones and use the text message received on their mobile phones by Indian Railways as a valid ticket according to The Mobile Indian. With this new facility Passengers don't have to carry paper printouts of their e-Tickets anymore and passengers will now get a ticket through SMS in 20 minutes. This new facility was unveiled by West Bengal chief minister and former railway minister, Mamata Banerjee who launched this public friendly facility in Kolkata. 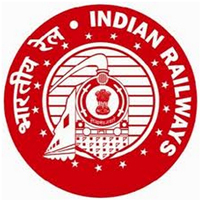 The m-ticket service is part of the new website www.indianrailways.gov.in launched recently, which will provide all enquiries like train alert, PNR status, train status, seat availability, train schedule, time table and fare on a single website. A passenger has just to show the SMS to the ticket collector, backed up by a photo ID to travel on train. The facility of booking tickets through the web portal will be available between 12.30 am and 11.30 pm on a daily basis. Railway officials said the newly launched e-ticketing facility bars travel agents and such bulk customers from using the service. Recently, the Railway reservation site irctc.co.in blocked over 460,000 fraudulent user IDs and since March 2011, IRCTC has enhanced its cyber surveillance and has been disabling IDs which are found to be violating laws. Indian Railways were first introduced to India in 1853, is the fourth largest railway network (running length of 64,000 km) and 7,083 stations in the world and ferries two million passengers a day.